Online courses have become big business in the last few years. With the rising costs of higher education, more people than ever are choosing an alternate route for learning. As a keynote speaker, you can take advantage of this trend (that won’t be slowing down anytime soon) and ride the wave to more income in your pocket. It’ll solve several problems for your keynote speaking business too – having to trade time for dollars, booking more and more speaking engagements, and trying to land higher-paying speaking engagements. 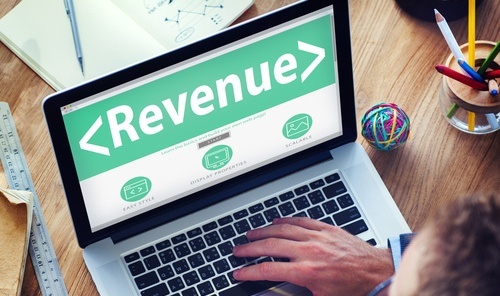 Here’s how to generate recurring revenue from an online course. The biggest mistake that online-course-creating newbies make is spending time building something that no one is interested in. Of course, you’re already an expert in an area – or you at least have a niche. Maybe you speak on a wide variety of topics, so it’s hard to narrow it down to one to focus your course on. What do people most often ask you about? What kinds of things do they seek your advice about? What does your audience/your customers struggle with the most? Do you notice a theme or trend? What problem do you have the solution for? It’s really as simple as paying attention to the people around you. Once you’ve landed on an idea you think will be profitable, it’s time to try it out. Do this BEFORE you build your course, otherwise you may be wasting your time. Okay, great. You need to take your idea for a test drive. How? There are two good ways. You don’t have to get fancy with this. Create the mini-course and deliver it via email. This serves two purposes: You’re validating your idea and you’re building up an email list. But, you CAN sell your course before you create it. There are a couple different ways you can do this. “Coming soon” page. This is a page that explains what your course will be. Send a link out to your email list and run some ads and see if you get any bites. Decide what each lesson will cover. Each lesson should bring your learners one step closer to the objective of the course. Make sure you’re not stuffing too much content into each lesson. Try to keep them within the 5-10 minute range. An outline is a great way to pre-sell your course. Once you “validate” interest in your course, then you can start working on creating the course content. The truth is, your first course might not look fabulous. But if the content is offering value, it doesn’t matter. So don’t worry about creating or paying for something that’s highly designed and flowery. Something simple with lots of white space will work fine. Provide practical, step-by-step guidance and instructions and your audience will eat it up. There’s one thing that you may not realize – people actually like to buy online courses. Even when they can get the same info for free. The issue is they don’t always know where to find it, how to find it (or have the time to find it) or if it’s even legitimate. So, the go for the alternative – paying for a course that someone else created. A structure that’s proven to get results. When you know how to generate recurring revenue from an online course, you’ll stabilize your finances, have more time to spend with family, and be choosy about the speaking engagements you take on. And by following these specific steps, you’ll be sure to create a course that brings value to your audience. Have you attempted to create a recurring revenue stream? How about an online course? What kind of results did you get?